We’ve already spoken about ski maintenance in a previous article, but how should we get our skis ready for storage over the summer? This is often overlooked off season as they sit in a cupboard, attic or garage for months on end. Leaving them to their own devices can cause damage and deterioration, reducing performance for the following season and the overall lifespan of the skis. But have no fear! There are a few simple steps you can take to prep your skis for storage that will keep your gear in good working order. Loosen the DIN settings on both toe pieces and move the heels into the ski position. This will lower the tension in the springs and prevent damage to your bindings and increase their lifespan. Clean the top sides of your skis with warm water then carefully dry them, ensuring no fluid is trapped between the bindings and the skis. Next up, scrub down the underside of your skis with a base cleaner. Oils and compounds can build up over time, especially from slopes using snow makers, and if they’re not removed before storage they can work their way into your base material and make next season’s wax application less effective. Once the skis have been thoroughly cleaned, check the edges! Remove any burrs and sharpen the edges using an edge file. Left untreated, these burrs can lead to rust and reduce the working life of your skis. If you don’t have much experience doing this you can have this done by a local ski shop. Now it’s time to wax those skis! Give it a thick coat, evenly distributed across the entire ski and over the edges. This will seal your skis and prevent them drying out during the summer months. Remember to clean and store your ski-boots too! 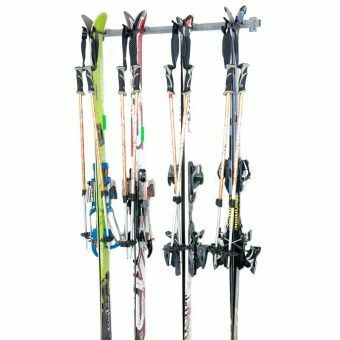 All that’s left to do is to decide where to store your skiing gear during the piste-less months… If you don’t have space to keep your skis AND your mountain bike at the house then Aabsolute may have the solution. We can provide self storage lockers, units, and solutions to suit your needs right here in Glasgow. The last thing you want when you pull your ski boots out of storage to hit the slopes is that smell. You know the one. It’s distinctively disgusting. A combination of bacteria, sweat, damp, foam, and plastic. Lovely stuff. First up, get the liner out of those boots. Hang them to dry in front of a fan or use a hair dryer on a cool setting. Don’t put them in front of an open fire or a heater! If you can’t remove the liner then use the absorbent material by placing it in the toe of the boot to soak up the moisture. Silica gel beads are super handy. Collect them whenever you can from new furniture or shoe boxes whenever you can. They can be used over and over again by drying them out. If you have purchased your beads (and they aren’t in breathable sachets) you can put them in the toe of some old tights or leggings and tie them off. If you only have newspaper, scrunch it up and pack it into the liner of the boot. If you’ve managed to remove your liners and they’re a bit on the smelly side then you may want to wash them… resist the temptation to fire them in the washing machine! That may beat up the foam and decrease the lifespan of the liners. Instead, gently hand wash the liners in a basin with warm water and a mild soap, then air dry them (outside in the fresh air if possible). Next up, it’s time to clean your boots! Use the washcloth to wipe the hard surfaces of the boot, and get between the buckles and into the corners with the soft toothbrush. After you’ve given the boots a once over with some warm water, add some mild soap and give them another clean. Be sure to clean out the inside of the boot if you’ve removed the liner! Now you have to air dry your boots. You can use the desk fan again to speed up the process. Once the boots are cleaned, dried, and rebuilt it’s time to get them ready for storage! Pop in some boot trees so that they keep their shape while they’re not being used, making sure the tongue of the boot is lying flat. Fasten the buckles so the boot lightly grips the boot tree and no more. Get a storage bag for each boot, and then you’ll need to find a dark and dry environment place to store your ski and snowboard boots. Don’t have too much extra space at home for your hibernating gear? Here at Aabsolute Self-Storage we have a range of options to suit your needs, from lockers to full size storage units. Give us a call today! By following these tips you’ll be increasing the lifespan of your boots and keeping them nice and hygienic for seasons to come! Data gathered by the Self Storage Association shows that 85% of people want their self storage unit to be nearby, ideally no more than a 15 minute trip. They want to be able to quickly and reliably access their goods and valued items should they need them. In Glasgow it’s not different, and our locations make our sites easy to access quickly from any part of the city. Aabsolute Self Storage have units ideally situated in Queenslie Park industrial estate and in Dalmarnock. Both are easily accessible with easy access from the M8 and M74 motorways, and have solutions from a 10 square foot locker to 100 square foot rooms. One of the main reasons for anyone to use self storage is to free up some space. Your business may be feeling the need to expand your office space or you may just need more space for stock or merchandising materials. For retailers, seasonal stock and decorations can be a headache when it comes to keeping the place decluttered and it can restrict access and productivity if you have to work around it on a daily basis. If you’ve reached your storage limit and need a little elbow room, then self-storage is an affordable solution to suit your needs. Aabsolute offer flexible leases on seasonal storage. Office supplies can also take up a huge amount of office space. Many businesses buy stationery and paperstock in bulk, but no one needs reams and reams of paper lying around until they need it. Storage lockers are a perfect place to keep your office supplies out of sight and ready to collect when you need them. 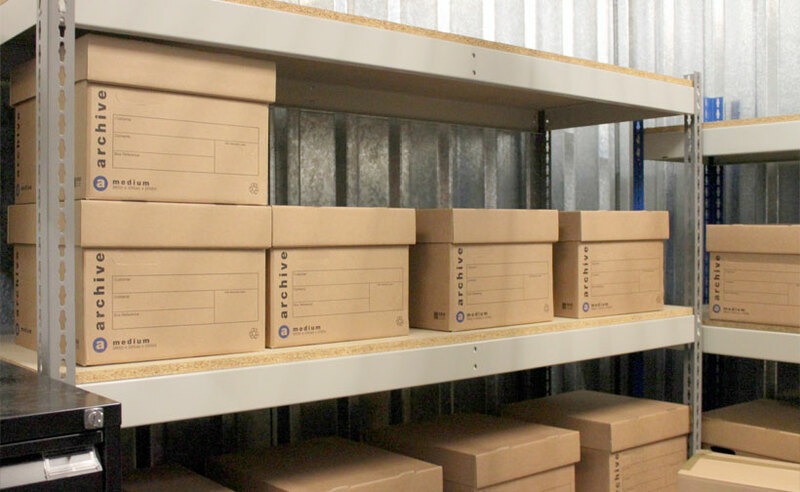 Document archives seem to have a tendency to build up over the years, and there are some documents that businesses are bound by law to keep in their possession. That doesn’t mean they have to live in the office though. Most of them don’t need to be accessed on a daily basis, and many Glasgow businesses trust Aabsolute with their sensitive tax records and customer invoices and receipts. All of these things can be stored securely in an Aabsolute self storage unit, without the need to consider the expense of an office upgrade or additional warehousing. Some more common items you might want to put into storage! If you’re trying to sell your home then you may wish to consider placing your collectables and valuable items into storage until you’ve completed the process. 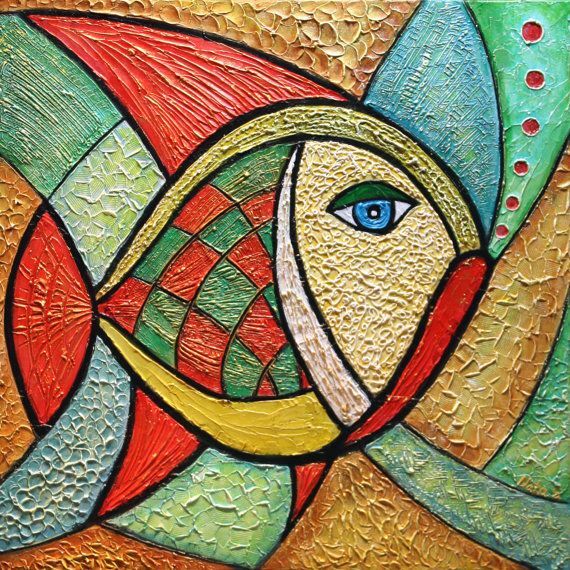 Your cool stuff might not seem to cool to prospective buyers; they want to be able to imagine their own cool stuff in their potential new home. Preparing your collections for storage can be a bit of a minefield and packing tips vary depending on what you’re wanting to put into self storage. Luckily we have dealt with these exact issues before in our blog. DVDs, CDs, and videotapes were all the rage in years gone past, but more and more of us are living in the digital age, streaming or downloading our content and watching it online. That doesn’t mean we want to throw away decades of music or film we physically own. 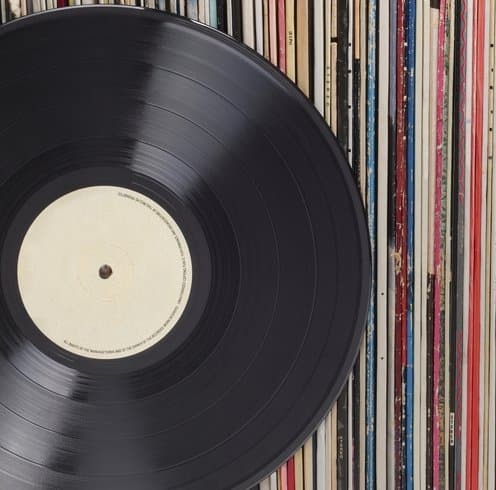 To get the best of both worlds, why not digitally convert your films and music and place them onto hard disks or personal servers, and prepare your physical collection for self storage? Try to keep the media in their original cases, dust the covers, then put your CDs and DVDs into airtight containers. This will prevent moisture damage in storage. Keep them off the floor and place the containers on shelving units. It might also be helpful to store your collection in alphanumeric order and label your containers! Even in this digital age, books are expensive, especially academic textbooks, but keeping them in the home can really eat up space. If you can’t bear to part with your books then you might want to consider putting them somewhere for safekeeping. To prepare books for storage it is best to organise and box them. Labelling the boxes will make the books easier to retrieve, and you may want to consider getting your hands on some storage shelving. Cover the books with a light material to prevent dust accumulation and light damage. If you’ve decided to place the books in boxes, try to place sheets of cardboard (or another breathable material) between the books to prevent damage and reduce the potential for damp or mildew. It may sound odd, but some people put their vehicles into secure storage if they are going on holiday or on a long trip. Sometimes it’s just for a car or bike that isn’t currently being used, or if the owner has no space outside their home. To prepare a vehicle for long term storage, first make sure there is fuel in the tank. This will prevent an internal rust build up. Make sure the car is thoroughly cleaned inside so it doesn’t attract unwanted pests and mold, and wash and wax the exterior to reduce the risk of corrosion. Changing the oil before storage will also make it easier to start the vehicle when it is retrieved. To prevent acid leaking from the battery you should disconnect it once it is in place. Finally, cover the vehicle to prevent dust build up on the surface and in the air intakes. Every year we spend a fortune making our homes look festive for the holiday season, and many of the decorations can be reused again in future. That means we need to figure out where to put them for the rest of the year and how to pack them away. So, whether you want to store winter bedding, festive decorations, or seasonal sports equipment, self storage provides a great solution to keep the clutter at bay for the rest of the year. In this final part of our series on selling your home we’re going to look at preparing your ornaments and collectibles for storage and transport. Prospective buyers don’t really want to see all your ornaments, figurines, and toys covering the shelving units in your home. They want to image their stuff in that space. To them, your much loved limited edition figurines are just junk getting in the way of their vision and dreams of their potential new home. We’ve all seen our fair share of broken ornaments, damaged figurines, and cracked crockery, so it’s important that we protect your cool stuff to give you peace of mind while it’s out of sight. It’s even more important to follow this guidance if you’re shipping your collectibles or preparing them for transit. NEVER use newspaper or crumpled up paper as a packing material. Ink from newspaper print can transfer onto your items and potentially ruin them. As far as paper and newspaper goes for padding, paper will become more and more compact with movement, meaning that over time it will flatten and provide absolutely no shock absorption whatsoever. Don’t use flimsy boxes. 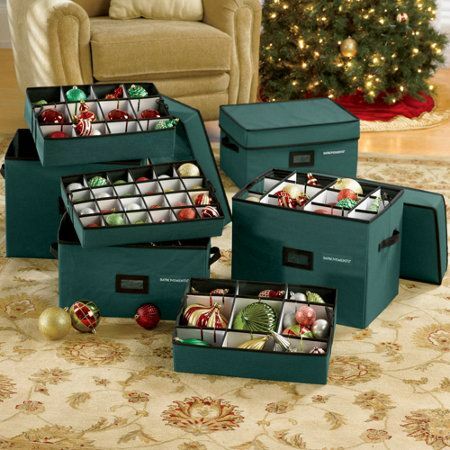 You’re going to want to use double walled or thick cardboard boxes for storage. If you stack boxes that aren’t designed to be stacked then you’re may experience crush damage to boxes and items at the bottom of the stack. But have no fear, the Aabsolute blog is here! If you have unboxed figurines or ornaments to pack then your best bet is to order some packing peanuts to provide a shock absorbing layer between your item and the box in which you want to pack it. They come in many varieties, including anti-static and biodegradable, and even in different colours. Remember to put a layer of packing material in the box before you put in your wrapped ornament! 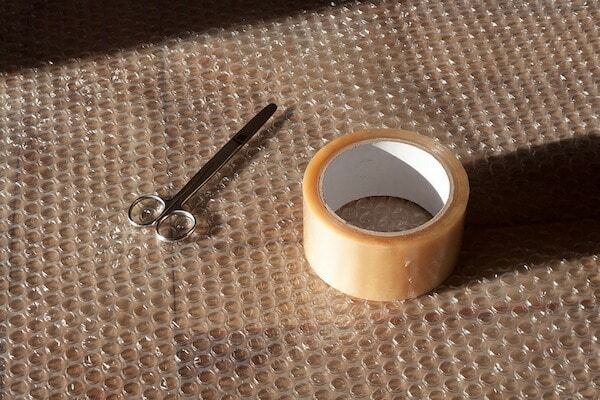 Another great way to prevent damage is to wrap items in bubble wrap before packing them in boxes. If you don’t like using plastic bubble wrap, you can use eco friendly alternatives to safely wrap your ornaments for storage. Don’t use heavy duty tape to secure the bubble wrap. If you struggle to remove it there is more chance of the item becoming damaged. The more space you have between the outer box and your carefully wrapped item, the less likely it is to suffer any puncture damage if the box is dropped or mishandled. To stack or not to stack, that is thy question! Once your items are wrapped and padded in their cardboard boxes the best way to further protect them is to use plastic storage boxes with lids. This will help to prevent air and moisture getting to your collectibles. If you use rigid plastic boxes it is likely that they are designed to be safely stacked with no need to worry about crush damage to the boxes at the bottom of the stack. Now you’re ready for storage!